Recently, in response to a document promulgated prior the Great and Holy Council this summer, two Metropolitan Bishops of the Orthodox Church in Greece published concerns. Both of these bishops would be considered traditionalists, and by some “fundamentalist”. In particular, George Demacopoulos, a professor at Fordham University. Some day, when I have nothing better to do, I might want to see some of his academic work. However, based on a couple of samples of his public writing, I don’t hold out a lot of hope. His expertise appears to be in polemics, although he is apparently a theology professor. I’ve addressed one of his public diatribes previously, and now am faced with another. Rather than the lengthy response the last one elicited, I’d only like to make a few comments. I will say that I actually agree with him that the objections are ultimately incorrect, but I disagree entirely with his characterization of them as “innovations,” which is tantamount to him declaring the two bishops to be heretics. I’ve said it before, but I expect better from a supposed academic. At the end of this post, I’ll link a piece that treats the overall subject in a manner much more appropriate to an academic and Orthodox Christian, IMO. The two bishops in view are Metropolitan Seraphim of Piraeus and Metropolitan Hierotheos Vlachos of Nafpaktos. The latter was, I believe, the target of the previous piece, so I shouldn’t be surprised that he is the target again. However, let me briefly address Metropolitan Seraphim first. Unfortunately, his objections, characterized by Demacopoulos as a “wide ranging condemnation” are in Greek, so my unfortunate lack of effort toward mastering Greek leaves me unable to speak to his view directly. However, Demacopoulos takes particular note of the Metropolitan’s objection toward the use of the term “church” regarding other Christian denominations. He links, as his argument, a video by Sister Vassa on the subject. Much of her objection is grounded in the usage of the term church regarding heretical groups in the Church Fathers. While I agree that looking to the Church Fathers for information is critical, there is always a risk of relying entirely on what is essentially proof texting. I find it interesting that nobody appears to really address the Metropolitan’s objections head on. His objections are not even particularly detailed by his detractors, which makes this discussion really quite challenging. On a Facebook thread regarding these documents, I argued that the context for the objections needs to be, at some level, the broader view, especially in the West, and especially in other denominations, that all churches are largely the same. This perspective has apparently become a bit of an issue in Greece, as other Christian groups as well as non-Christian groups have made some inroads into the traditionally Orthodox country. This makes the terminology used by the conciliar documents of concern from a pastoral perspective for the Metropolitans. I would argue that a great many of the canons of the Church are fundamentally pastoral in nature. The pastoral situation is different now than it was in the past, so I can understand a bishop being particularly concerned about it. I was taken to task in the post that the context is really the conciliar document, but I think that is absurdly narrow. I think the bishop is mistaken, and that the use of the term is acceptable, but it may not be desirable. I’m a former Anglican, and many of my former fellow parishioners see themselves as a church with the same meaning that being a member of “The Church” holds. Thus the term for them carries meaning that I wouldn’t agree to. Isn’t it wiser, if I avoid using it? The rector of my former parish is a Priest in that denomination who is called “Father”. If I address him as “Father,” am I leading him to believe that I view him as an actual priest in the One, Holy, Catholic, and Apostolic Church? That’s what he thinks he is, and all I would be doing is supporting that belief. That is the reality many of us face, and that I suspect the Metropolitan is facing. Is he going a bit too far? Perhaps. Innovating? Well, not necessarily. Now, let’s discuss Metropolitan Hierotheos. Demacopoulos sinks to new lows in his argument with Metropolitan Hierotheos. Metropolitan Hierotheos bases his views on the Council of 1756. That council, held in Constantinople and including two other Orthodox Patriarchs dealt with several issues regarding the Roman Catholic Church. Principal among them was the rite to be used when accepting converts from Rome. It is interesting that Demacopoulos insists that it was simply a letter issued by the one Hierarch, Cyril, which is supported by Wikipedia (and the document is known as the Oros), but a quote from an early 20th century text on canon law, cited here, indicates that this was a finding agreed two by more than one Patriarch. Demacopoulos also asserts that Patriarch Cyril was deposed by his own synod for having issued the Oros, but all I can find is that (perhaps) his synod objected to the Oros and declared it invalid, following which he exiled all of those bishops who disagreed with him. Cyril was ultimately deposed, but that was in response to his deposition of the other bishops. Rather papal if it really happened that way. Regardless, we can see that the history is a bit muddled, and it is telling that Demacopoulos doesn’t even begin to address the fact that there appear to be differing view on what took place at that time in Constantinople. If he was just some rank and file layman, I could understand the errors, but for a supposed professor of theology, I expect more academic rigor in his writings. I had actually ceased work on this post a while back, but then this response was posted to Demacopoulos’ work. I applaud the fact that he linked to it on Facebook, as a good scholar welcomes debate. In particular, he is to be applauded, because the piece really highlights his complete lack of knowledge in this area. Apparently the practice of rebaptizing Latins was not uncommon and dated back to the time of the Great Schism. It was even supported by at least one saint of the Church. Hardly is this a novelty being proposed by Demacopoulos’ favorite target, Metropolitan Hierotheos. Clearly, this is a topic that merits actual discussion among the hierarchs. Personally, given how far away from the ancient Church much of Western Christianity has drifted, I think it safer to err on the side of rebaptism, but thankfully I am not one of the hierarchs so my opinion doesn’t much matter. Thankfully, Demacopoulos is also not one of the hierarchs either. I’ll begin this by saying that I mostly try to ignore what is going on in the Anglican world. I am no longer a member of the Episcopal church(ECUSA), so I have no stake in their internal disagreements. On the other hand, perhaps mine is not the right attitude. I still have a number of people that I care about who are still in that group, and so, perhaps I should care about what is going on there more, especially as it pertains to mistaken doctrine, and even simply mistaken attitudes that would be dangerous for those still there. At the same time, reading things coming out of the ECUSA can also provide an opportunity to reflect on what the Orthodox perspective would be, both on the subject, and on the arguments being made. Just such an opportunity was afforded me last week when the latest issue of the Diocesan Messenger from the San Diego diocese arrived (for some reason, I seem trapped on their mailing list in perpetuity). Apparently there is a topic up for debate, at least at the Diocesan level, or perhaps at the national level, and the Diocese felt it appropriate to have several pastors from different parishes in the Diocese write their arguments regarding the topic. As they were not responding one to another, you were presented with four different position papers, which seems like a reasonable way to hold a discussion without it devolving into an argument. The topic being discussed is what they are describing as “Open Communion”. I’ll start by noting that Open Communion, as commonly understood, refers to permitting Christians who are not members of that particular denomination to receive Communion. When I was young, that was the debate ongoing in the ECUSA. However, in 2016, to the ECUSA, the term refers to permitting non-Christians to receive communion. The four pieces revealed some interesting insights, both into the theology of the four pastors, as well as the position of the ECUSA within the Christian milieu. The four parishes involved, or rather the three parishes and mission, are Holy Cross and St. Michael’s in Carlsbad, All Soul’s in Point Loma, and St. Andrew’s in Pacific Beach. Given the level of theological diversity allowed within Anglicanism, it is not surprising that these parishes represent very different theological foundations. For instance, Holy Cross, which was founded as a mission by St. Michael’s was, like St. Michael’s used to be, rather Anglocatholic. That is, believing in doctrines that would cause little to separate them from Roman Catholics of perhaps two or three centuries ago. Since I left the Episcopal Church a decade ago, Holy Cross underwent a significant shift when its Vicar and many parishioners left for the continuing Anglican movement in 2006. Similarly, St. Michaels also shifted. Although their rector is a graduate of what historically had been an Anglocatholic seminary, the seminary has been under the leadership of a priest who had come from the Charismatic (i.e. Evangelical) movement. Drawn to the conservatism, I suppose, of Nashotah, he really had never been an adherent to Anglocatholicism. I’m not sure that he changed the seminary as much as his being hired reflected how much it had changed. At any rate, the current rector at St. Michael’s never really struck me as particularly Anglocatholic. Yes, he likes “tradition”, yes he is a bit conservative, but like Munday, his perspective always felt more Evangelical than Catholic. When the more Catholic elements in the parish either left for Orthodoxy (at least a handful) or the larger exodus to Rome, all that was left was basically Evangelical leaning, or, more traditionally Protestant if not Evangelical. Holy Cross now appears to be a typical modernist mission, St. Michael’s a traditional leaning Evangelical parish, and the other two I’m not entirely sure of. Their pastor’s positions then reflect this diversity. The goal within Orthodoxy is for everyone to obtain and operate with the “Mind of the Church”, or phronema. This encompasses not only the doctrinal elements but also the more practical life lived within the practices of the Church, and seeking to grow in our likeness to God, and the continued acquisition of the Holy Spirit (Met. Hierotheos Vlachos). Decisions about what is acceptable reflect, then, this mind. It is a common misconception that Church councils always just reflected a voted based on opinions of the bishops present. What happened, instead, especially beginning with the first ecumenical council, was that the bishops were seeking to understand the mind of the Church as reflected by what had been believed and practiced since the time of the Apostles. Doctrines live and die by the degree to which they reflect the received tradition across the board. This tradition is most notably transmitted via the liturgies and hymns as those represent the communal life of the faithful. Thus, a question such as the one posed, would be addressed by priests and bishops in the Orthodox Church by reference to the canons that had been passed at the various councils. Then, if that was not sufficient, we look to the liturgical traditions and the hymnography for more guidance. For instance, we know that the historical practice was for all non-baptized individuals to be sent out of the Church before the part in the service when the Holy Spirit is called down onto the bread and wine to turn them into the Body and Blood of Christ. Although this no longer happens, the liturgy retains a call by the Deacon to attend to the doors (that is close them so that only the faithful remain) prior to the recitation of the Creed. Given this, there is no question that non-baptized would not be permitted to participate. Further, we also know that those who had separated themselves over doctrinal matters (heretics, although the word has become unpopular) would also not be permitted in until a suitable period of penance had occurred. So even the question of baptized Christians who do not belong to the Orthodox Church is answered. This answers the question in part, but of course, if one wants to understand at a deeper level, we would reflect on the nature of the Church and the nature of the Sacrament, which I will do a bit further down in response to specific points raised in the article. I should point out here that this notion of the “Mind of the Church” figures into the question of Apostolic Succession. In order to be in that succession, besides needing to be ordained by an ordained/consecrated bishop, as agreed to universally, the Orthodox Church understands that the bishops and priests under discussion must also still exist within the Mind of the Church. That is, they cannot have left the Church in some fashion and yet still claim to be in succession. Now that we’ve addressed the general issue of the mind of the church, we come to the first piece, which is penned by the Vicar of Holy Cross. After she finishes praising the “roominess” of Anglican theology, she then moves on to the discussion at hand. The purpose of the discussion of the roomy theology is to simply argue that there is no formal Eucharistic theology in play from an Anglican perspective and thus opens the door for her to “share my own Eucharistic theology.” Although she briefly asserts a shared perspective with Augustine (without any support), the entire article is based on her views, her feelings, etc. There is no attempt to engage the mind of the church. This is very much consistent with the modernist thread of Anglicanism, where personal opinions and feelings are as valid as any doctrine or received tradition, if not more so. Besides being inconsistent with any Christian worldview older than the 16th century, it also smacks of the sort of lack of humility that is spiritually dangerous for all of us. The piece by the rector of St. Michael’s also quickly touches on a personal opinion about the rightness of what he refers to as the “Anglican” view that communion is to be offered to all baptized Christians regardless of denomination. I’m not entirely sure that this is an Anglican view as much as it is strictly an Episcopalian view, but to be sure, it is not a catholic view. Yet, immediately after this comment, he trots out the famed Vincentian Canon (named for St. Vincent of Lerins), using it to state that the “catholic faith which we profess is described… as, “that which has been believed everywhere, always, and by all”. This then becomes the foundation for his argument that to offer communion to non-Christians would be non-catholic. He leans on Fr. Alexander Schmemann representing Orthodoxy, then St. Irenaus, representing the ancient church to defend his position. However, his argument is without merit, as he just finished proclaiming the modern and erroneous practice of communion to all baptized Christians, regardless of denomination. How can he use catholicity to prevent one practice, while ignoring it to support another one? At best, this is some form of special pleading, at worst hypocrisy. He furthers undermines his case by a veiled reference to 1 Corinthians 11, where St. Paul indicates that partaking of communion in an unworthy manner can result in illness in death. Instead of agreeing with his assertion, he creates a straw man argument that God will not strike someone dead for taking communion when not baptized (did St. Paul say that? no), but by dismantling the straw man he effectively denies St. Paul’s teaching. Once again, he seems to be disagreeing with the very catholic faith he asserts should drive this decision. Both of the first two writers seem to believe in the real presence of Christ in the Eucharist. It is at best unclear about the remaining two author. The rector from All Souls discusses what the Eucharist is at great length before finally indicating that perhaps he thinks it is the body and blood of Christ (what he actually says is the “desire … (of someone else) to receive the body and blood of Jesus Christ”, so it is unclear). He discusses a great many things about the Eucharist, that it is mechanism by which we are united, by which people receive God’s grace, etc., all of which is true, but I don’t think he really accepts that God is, in fact, actually present in the Sacrament. The rector of St. Andrew’s doesn’t even come close. God is Truth and Light. God’s judgment is nothing else than our coming into contact with truth and light. In the day of the Great Judgment all men will appear naked before this penetrating light of truth. The “books” will be opened. What are these “books”? They are our hearts. Our hearts will be opened by the penetrating light of God, and what is in these hearts will be revealed. If in those hearts there is love for God, those hearts will rejoice seeing God’s light. If, on the contrary, there is hatred for God in those hearts, these men will suffer by receiving on their opened hearts this penetrating light of truth which they detested all their life. All four authors support some level of open communion. the Vicar of Holy Cross is the most clearly in support of this. I was pondering why this was the case. Especially since she proclaims a belief in the real presence. Then it occurred to me, after listening to a talk on heresies and their manifestation today, that perhaps she doesn’t actually believe that Christ is God. Then his presence in the Eucharist wouldn’t raise questions about being worthy to approach. As a final note, a couple of different quotes of St. Augustine are trotted out. In both cases, I’m pretty certain that the authors have not actually read the sermons that those quotes are from (the Vicar from Holy Cross wrongly asserts that her quote was a standard part of St. Augustine’s liturgy). Both miss the fact that the reference to becoming what you see is in fact a reference to the Orthodox understanding of theosis. The rector of St. Andrew’s asserts that St. Augustine’s phrase “Behold what you are” indicates that we are “fully accepted” by God, the phrase fully accepted is usually taken to mean, wallowing in our sins without need of repentance. Instead, he misses that the “Behold what you are” is a reference to the body of Christ, which is what we, as baptized, professing members of the Church are. One of great things about becoming part of the Orthodox Church has been learning how the early Church read the Old Testament. During my time in Protestant Bible Studies, there were typically two approaches used to read the Old Testament. One either read the Old Testament by itself, to see what things you could learn from it, or one read it to gain insights into the New Testament. Typically, both were used, and they seem reasonable. Interestingly, though, the Church never approached the Old Testament in that manner. The Old Testament, instead, is filled with “types” pointing to Christ and our ultimate salvation. This was brought to mind yesterday when flipping the channel and I ran across Joyce Meyer. Now, I realize that she is not well received among all Protestants, and she has more serious issues in her preaching than this one -but I think her prosperity gospel approach to things may be fed, to some extent, by her lack of understanding about how to read the Old Testament. In the course of her talk, she referred to Moses and the parting of the Red Sea. She stated (I’m paraphrasing a bit here) that she didn’t know why God asked Moses to stretch his arms out over the Red Sea to help part it. She stated that it was an act of faith on Moses’ part, but that there was no purpose other than that. opening a path for Israel who went over dry-shod. overwhelming the chariots of Pharaoh. for He hath been glorified. If she read the rest of the Old Testament in light of the New, as the Church does, I think she would have a different theology than what she has developed. I, like many of my friends and fellow Orthodox, had mixed reactions to Harold Camping and his prediction about the impending rapture. We were amused that anyone would be so bold as to claim that which is not to be known, we joined in the myriad jokes after the prediction failed, and we were all saddened by the heart break of those who followed this man. Tragically, as we all imagined would happen, there has already been reported one suicide related to this man. I find myself wondering why this man and his prediction captured this Orthodox Christian’s attention so much, as well as that of others. I know that one story that really struck me was that of the people who had basically given up their life savings due to this man’s teachings. Is that really what was most important, though? Or, does it reflect my still worldly mindedness. As an Orthodox, we have a fairly narrow definition of what the true faith is, and thus followers of other faiths are, to some degree or another, following false prophets. Yes, Harold Camping is a false prophet, but so are John Calvin, Thomas Aquinas, Martin Luther, Rick Warren, and Joel Osteen. However, these other people won’t lead one to bankruptcy. Looking at Rick Warren and Joel Osteen, one imagines quite the opposite to be the case. I don’t mean this offend my many dear friends of different faiths – most of whom are sincere and loving people – more so than I have ever been. However, these other prophets are laying out a path that is different than the path to salvation that our Lord established with His Church. How much more dangerous is that than simply losing your money? As a result, do I pray as I should for all of my friends? Do I try to follow the teachings myself, and follow the path with the urgency that I should? And again, unworthy is the servant whom He shall find heedless. Lest you be given up to death, and lest you be shut out of the Kingdom. Through the Theotokos have mercy on us. Virtually all religious groups that align themselves with Christianity make claims about their connection to the early Church. These claims can generally be divided into types – those that claim continuation with the early Church, and those who claim to be restoring the faith to it’s early roots. The first question is, what is meant by the early roots. Almost always this refers to the Church of the New Testament era, and generally not a day later. Some have asserted that the Church began to fall away almost immediately after the death of St. John the Evangelist. The Anglican Church, however, has tended to make the argument that the Church continued on for a period after the repose of St. John, but later fell into error. More recently, I’ve seen writings by modern groups (most notably Reformed Baptists) that seem to imply that they, too, see the Fathers of the post-apostolic age as continuing on in the doctrine to which these groups adhere. The one thing that all of these groups have in common is that doctrine is the entire definition of the Church. That is, any group holding to the same doctrines as the early Church, are thereby members of that same Church. Of course, “holding to the same doctrines” is a bit of a tricky question. One has to determine what those doctrines are. To some, all doctrines are contained within the covers of their 66 book Bible. Others, as I mentioned, believe that these doctrines are contained both in Scripture and in the writings of the early Church. There is little effective difference between these two views. In both cases, one needs to come to the text with an interpretive framework that helps you understand the text, and deal with those parts which are either unclear or appear to be contradictory. In both cases, as well, there is no foundation in either Scripture or the writings of the Fathers to hold to the belief. St. Paul, himself, clearly refers to teachings that are not contained solely in his letters, but that were transmitted orally. These teachings are part of the παραδοσισ of the Church. The word, often translated as tradition, refers to that which is handed down. So, the teachings of the Church are part of a larger body of knowledge that has been transmitted, or handed down, throughout the history of the Church. Yes, this includes Scripture, and the Church Fathers, but it also includes the prayers, the hymns, and also an oral tradition. However, the Church has a much different view of itself. We find that view in St. Paul’s epistles, where the Church is described as the very body of Christ. This is not simply some rhetorical device, its a statement of fact. There is an organic wholeness to the Church. It is certainly the case that holding the same beliefs is a key component to what unites us, but there is also something more. That something more is Baptism and Chrismation. It is through this mystery (the two are done together in the ancient Church, and Orthodoxy has preserved this), that we are united to Christ, and therefore united to the Church. In the traditional forms of the Baptism service, either the Godparent or the new member are asked to state three times that they unite themselves to Christ. This, then, points to another aspect of being united to the Church. It is through our will (or those appointed to speak for us), and therefore we must have the capacity to depart as well. Historically, this, of course, has happened, and the Church has had to decide how to bring those who have left back in, if they so desire. Frequently, this is through Chrismation, as the Church has always been very concerned to not baptize anyone more than once. So, the only way to be truly connected to the early Church is doctrinally and temporally – that is, being physically and spiritually part of that body which has existed since Christ established it. Realistically, any other approach is simply man made. Over the past 30 years or so, two of the most effective opponents of Christianity have been former fundamentalists. The first is the somewhat infamous John Shelby Spong, now the retired Episcopal Bishop of Newark. The other is Bart Ehrman, professor of Religious Studies at UNC, Chapel Hill. Both men would certainly declare themselves Christian, but, since most of their work is focused on removing the Divine nature of Christ, its hard to agree with their description of themselves. I find myself wondering how it is they arrived at their current positions. Is it because of their fundamentalist backgrounds that they have become such ardent non-believers? How many other people, born fundamentalist, have arrived in the same place? Spong and Ehrman, of course, are somewhat unique as they hold positions as Christian educators. Spong, as a retired bishop, is still a bishop of the Episcopal Church, and thus is responsible for teaching Christians. Ehrman, as professor of religion holds a similar responsibility. I won’t make any arguments about the appropriateness of them holding their current positions, but it is because of their positions that they have such an impact on the Christian world. Let’s begin by a brief description of fundamentalism. I am referring to the specific Christian movement of the early 20th Century, not to the overuse of the term to apply to anyone of a conservative religious bent (with violent overtones, I might add). You can read something about the movement at Wikipedia, with the caveat that the article has been flagged as not being sufficiently neutral, and lacking sufficient citations. I think the background material in the article is pretty solid, but it probably goes astray as it begins discussing the rise of the Christian Right in the U.S. As an aside, that probably doesn’t belong in the article other than as a passing reference to a separate article. Christian Fundamentalism came about as a reaction to a number of factors, but most notably to 19th century scholarly developments – most notably Darwinism and so-called “Higher Criticism” of Scripture which developed in Germany. The movement developed 5 “fundamentals” which all orthodox (note the small o) Christians must adhere to in order to properly be considered Christians: Inerrancy of Scripture, the virgin birth and divinity of Christ, the second coming, the vicarious atonement, and the resurrection. Unfortunately, the movement came to have a reputation as being anti-intellectual. Although I have not read the 12 volumes of “fundamentals,” which may, indeed, not have been anti-intellectual, the movement clearly became that over time. It is fine to have a basic formulary which describes the faith, the Orthodox Church, in part, relies on the Nicene Creed for this. However, at the same time, we are required to be able to give a defense, an apologia, for our faith. Fundamentalism largely failed to do that, and many groups that adhered to the fundamentals became known as churches that required one to check their brain at the door. I think it was this phenomenon that produced Ehrman and Spong. The excessive reaction to liberalism, which certainly challenged basic precepts of traditional Christianity, itself caused the pendulum to swing even farther away and we end up with those who don’t believe in anything that would resemble Christianity. In fact, I would argue that the views of Ehrman and Spong are not so much liberal as anti-fundamentalist. In an odd twist, they have adopted an essentially religious dedication to 19th century scholarship that results in them holding those opposed to such views in disdain in much the same way that their fundamentalist forebearers held liberal theologians in disdain. Spong relies very heavily on his somewhat limited knowledge of Darwinism ( a view of evolution that is not universally held, even by the most atheistic evolutionists in academia), Newtonian physics absent any knowledge of quantum mechanics, and, of course German higher criticism. The problem is that all of these schools have since gone their way. While Newtonian mechanics are still valid, they are only valid within certain limited contexts. Quantum mechanics and subsequent developments have made it obvious that the universe is much more complex than previously understood. Whereas Newtonian physics would not allow for things like the warp engines of Star Trek, modern physics tells us that such things are not so impossible. 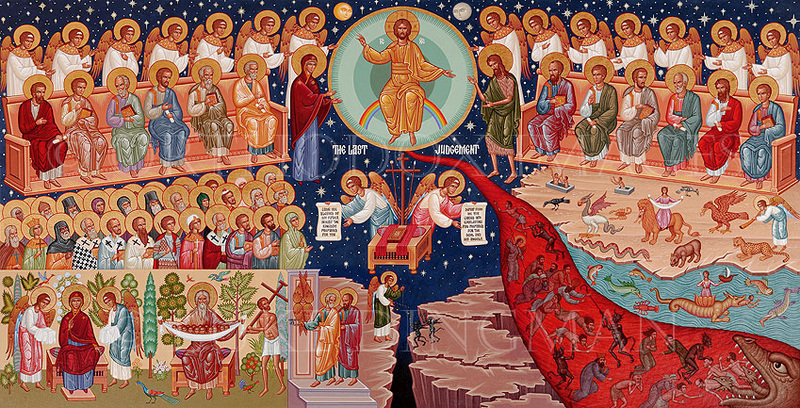 I recall once reading an article by Spong dismissing the accounts of the Ascension simply because its absurd, in a purely Newtonian world, to posit that heaven is up in space somewhere. It completely escaped him that Christ’s rising into the sky and disappearing into a cloud could have been an essentially sacramental act. That is, a physical act describing a spiritual reality. Could it have indicated his moving into a higher state (such terminology being commonly used in Quantum physics)? Ehrman, similarly, relies on 19th century scholarship, apparently unaffected by modern developments. I ran across a very interesting review of one of his books at this site. He and Spong have much in common. Unfortunately, Ehrman and Spong have trapped themselves in a very limited view of the world. They, too, appear to have come to place where in order to visit, one has to check their brain at the door. I wonder if their arrival in that place is merely because after a youth spent among fundamentalists, they sought out a different place that looked pretty much the same as the place they came from. The lesson to Orthodox is that, while we have a well established definition of the faith, we need to not be afraid of engaging new trends in academia. While a purely intellectual approach to life leaves one open to spiritual delusion, we do not need to automatically dismiss such endeavors. For sure, we need to evaluate new developments in the context of our faith. Sometimes, in fact probably frequently, we’ll find such developments consistent with the faith. Where it is not, we need to (as a Church – I don’t think every Christian needs to become some sort of scholar who is an expert on everything) examine it closely and see where it has gone astray. Once we know that, we can make intelligent arguments and hopefully lovingly lead people closer to God. I fear that the back and forth between Fundamentalism and the followers of Spong and Ehrman has not resulted in anyone growing closer to God. I think the example we need to look to is St. Catherine of Alexandria, not the Spanish Inquisition.